Le Mole is the distinctive stand-alone triangle shaped mountain about 20 kms south of Geneva near Cluses dominating the autoroute to Chamonix. I’ve climbed this quiet, steep, road a couple of times before, so I decided to do a little Col hunting before this ascent. 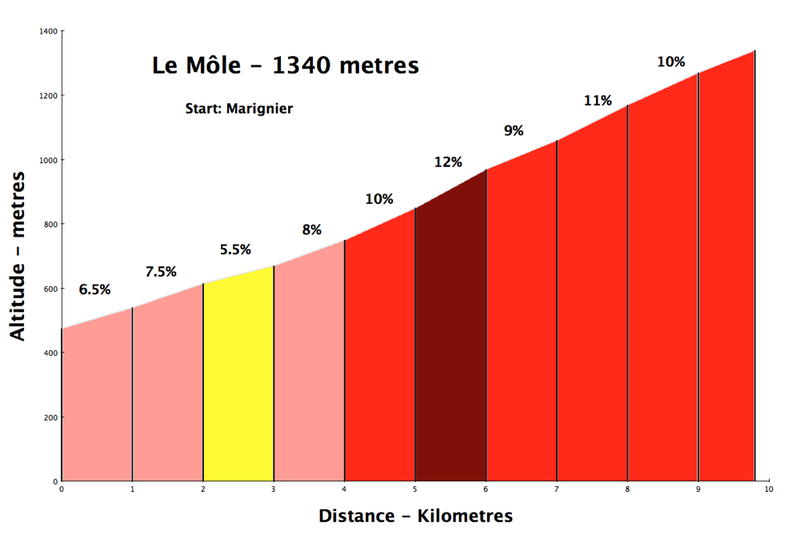 Unfortunately, both Col de Saint-Jean-de-Tholome and Col de Réray were not paved near the top (see map for cols). For some bizarre reason I decided to do some hiking in an ultimately unsuccessful search for Col signs. After wasting time hiking through mud, I got down to business of visiting Le Môle. This is another perfect deserted road built it seems just for cyclists. It’s extremely steep with a 5 km stretch averaging 10.5% and one full kilometre averaging 12% – and much steeper short stretches. But it’s a pleasure winding up through the quiet woods with periodic views of the Alps in the distance. It goes to about 1,330 metres. 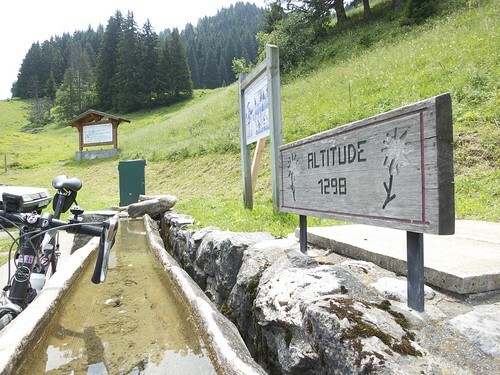 the paved road stops here, although there are trails to go a bit farther – or hike up towards the peak at over 1,800 metres. I need to explore further with a mountain bike. I don’t know the answer but Le Mole certainly sits alone as a little triangle, near and easy to see from Geneva.